To start off this beautiful week, I would like to share with you a new graphic organizer (new to me that is!) that I learned about during my time at EARCOS in Bangkok, Thailand. I went to a workshop held by Brett Dillingham and gained a lot of great tips to use during writing workshop. 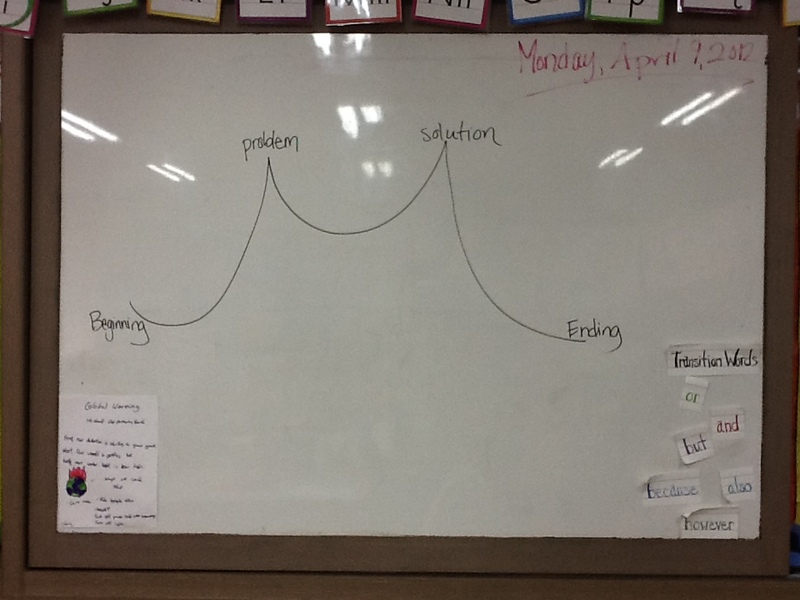 I implemented the graphic organizer just this morning. 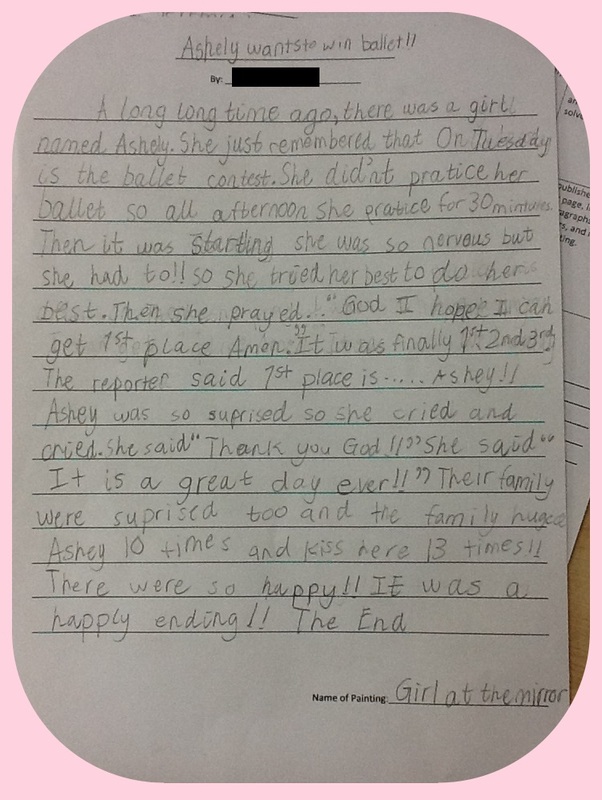 You see, often we tell the students everything they need to include in their story (characters, settings, problem, solution, etc. ), and we have them brainstorm, and then we make them write. My students will start a story, and not know where they are going with it, even if they have an idea of their problem and solution. 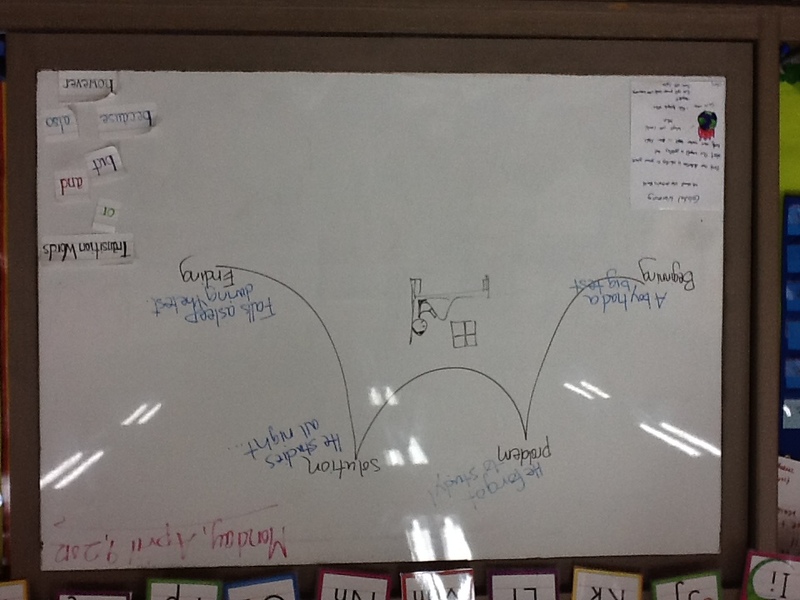 This graphic organizer requires them to plan out their whole story before they even start writing. Once you have this drawn, you add a couple of words by each section to plan out your story. Then, you ask the students to share their story (with you or a partner) aloud. After they do that, they draw the main picture (or character) of their story in the middle of the organizer. For my assignment with the students this morning they already had the picture. Have you ever used this graphic organizer before? Do you have a graphic organizer you love? Share it with us! Love this idea! (It’s new to me!) 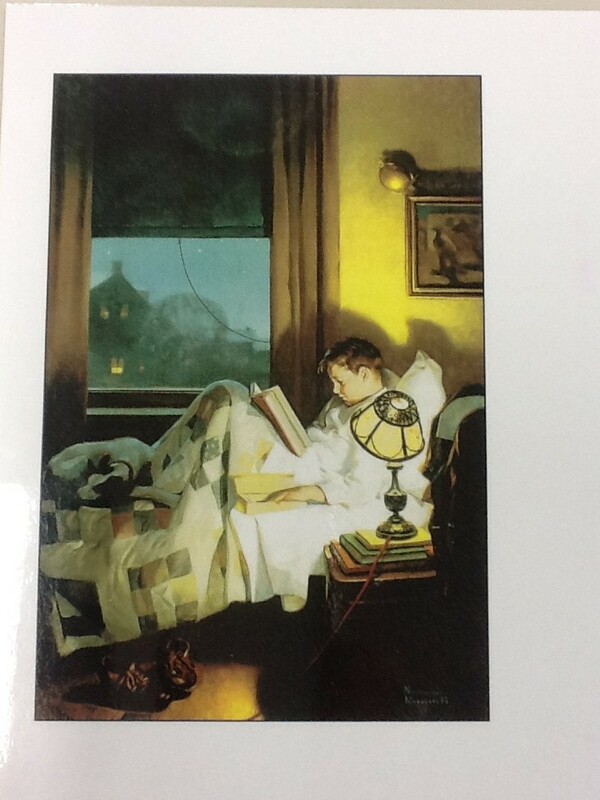 I appreciate the simplicity of it: using the Rockwell paintings and allowing the students the opportunity to “talk” through their story using the organizer before writing! Great ideas – thank you!